Sorry, I Can’t Tell You. A victim is more than a person who has suffered a wrong. They’ve lost a part of themselves. It can be as little as a few dollars or as catastrophic as having a child, family member, friend, or loved one taken from them. Never start off telling a victim who has just lost a part of themselves, “I’m sorry but I can’t tell you…” and then cite some rule or regulation that is made to protect you, the offender, or the institution that you work for. Do not lead with the need to conceal details from the victim because to share every detail would be wrong, violate confidentiality, or break some rule. The person has just been wronged, violated, and broken. Don’t give the impression that you’re going to do the same thing again. This isn’t how we get things done and it’s not how we help victims. In all things, take care of yourself. It serves no one any good if you get hurt emotionally, spiritually, or financially. Follow the rules, just don’t lead with the rules. Don’t make it seem as if your primary aim is to make sure some federal, state, department, or school rule is not violated. Instead, lead with how you want to help and not how you’re going to protect someone or something other than the victim. Begin with a message of hope and not one of immediate hindrance. Categories: General Posts | Tags: Don Shomette, People are the Prize, School Leadership, School Resource Officer, Victims | Permalink. A single action seldom produces a single outcome. Just the opposite. In most things in life, there are numerous benefits that come from completing a task or taking positive action. We just tend to focus on the main and most obvious benefit while overlooking the many other and sometimes lesser goods that come from one positive action. A student turns in a homework assignment. The main outcome is that he or she has competed the task and that’s a good thing. However, when we think about all the other complementary benefits provided by that single action, it suddenly takes on a different meaning—a better and deeper meaning. The student followed the instructions, committed to taking purposeful action, chose to give up their personal time, worked diligently, and completed the task in a satisfactory manner and in the designated time. How do we know all of this happened? Because the teacher marked the main outcome as successful. I don’t know of any employees that are looking for people to complete homework, but there are millions of great jobs waiting for people who possess the skills necessary to complete homework. The ability to follow instructions, take purposeful actions, give up personal time, work diligently…is a desperately needed skill. While I may not be a fan of lots of homework, I am a huge fan of the complementary benefits that come from completing homework. Especially if we remember that there is so much more that can be gained from doing homework than just turning it in and getting a grade. When it comes to lockdowns, I’m afraid that we’ve done the same thing. We’re focusing on one outcome (and it’s a great outcome) while not fully appreciating the other complementary benefits that come from our teachers being able to quickly and effectively perform a lockdown. While there are many benefits, I’m going to just focus on the following three most valuable benefits to consider. The primary purpose of a lockdown is to save lives and limit physical harm by removing or blocking the intended victims from the attacker. This concept is an incredibly old and extremely effective strategy. There are many who criticize our lockdown procedures, but they take a very narrow view and lack real understanding of the public schools. Don’t listen to them. The Secret Service implements this same strategy by removing the president or blocking him with their bodies. They perform a mobile lockdown. 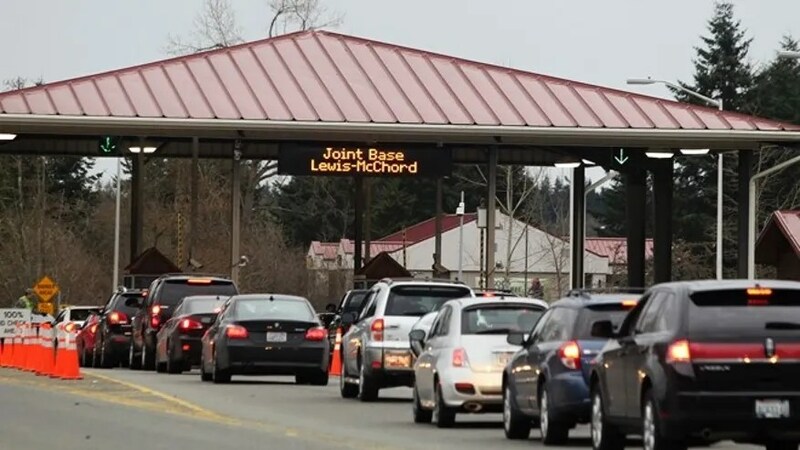 The military implements this same strategy in war zones and on bases across the world when they put up checkpoints to remove and block offenders from gaining access. They lockdown their people. The real difference between what they do in a lockdown and what we do in the schools is that 1) they practice it until it’s perfect and 2) their lockdown is not solely defensive but also offensive. In regards to the first, we’ll never match their perfection because we don’t and never will have the same amount of time to devote to training. However, that should never be an excuse for not adequately preparing our people to be successful in a school attack. When it comes to being prepared, some is better than none but more is better than less. The real difference is that we only treat a lockdown as a defensive measure. We forget and therefore don’t train our teachers that a lockdown is by its very nature, also an offensive action. Teachers are not only saving lives and reducing physical harm, but are also in a very real way helping (fighting) to end the school attack. The faster and more effectively that they can remove and block themselves and their students from the attacker, the quicker the attack will end because they have helped the entire school to regain the initiative from the attacker. The attacker begins the violence—he has the initiative. We must respond to him. Our teachers go into an immediate lockdown and now he must respond to us—we have taken back the initiative. Our lockdowns, if accomplished quickly and effectively, will also clear the halls, isolate the attacker, and assist law enforcement to identify and stop the threat. The moment we regain the initiative, the attack is minutes or even seconds from ending. Therefore, a lockdown is a defensive and offensive action. Very few people physically fight an attacker. This is true whether the attack occurs at a mall, movie theater, club, business, place of worship, or public schools. Most people will not do it and while we can certainly train a person to act differently, that’s not the problem. The problem is that we only consider fighting to be fighting if it is physical and because 99% of our people will not do it, we’re handicapping our teachers with a wrong and harmful perspective. Teachers who go into a lockdown are fighting. They’re fighting for their lives, the lives of their students, and because we also know that a lockdown is an offensive action, teachers therefore are also fighting for every other teacher and student in the building and not simply those in the same classroom. They’re also fighting for the officers responding to the attack by clearing the halls and isolating the attacker. Like all great teams for fight for eachother! The better a teacher can perform a lockdown the more effective their ability to fight the attacker. Please remind your teachers that hiding is a form of fighting, running is a form of fighting, surviving is a form of fight. In my life, I have seen CPR performed twice. While it’s an easy skill, there is nothing easy about watching it being performed. Each time I was the third person to arrive so I missed having to assist. After the second time, I can honestly say that I’m afraid that one day I’ll have to do it on my own. It is a real fear I carry, but it’s a small fear because I know how to do CPR. Teachers are afraid of school attacks. We can lessen that real fear by preparing them to be able to quickly and effectively conduct a lockdown as well as how and when to initiate the run, hide, fight strategies. While we cannot control everything that happens, we can certainly influence the level of fear our teachers are experiencing. With that lower level of fear comes a higher quality of life for our teachers. Every chance you get, remind your teachers that a great lockdown is also an offensive strategy because it helps to end the school attack. Also, remind them that everybody fights in a crisis and that a lockdown is a form of fighting—fighting for their lives, the lives of the students, fellow teachers, and police officers responding to the attack. When we remind one another of these additional benefits, it will help us to be more prepared and less afraid. There’s a free lockdown video for teachers that can be used during a staff meeting as well as other free information on the website that you can use. Instead of taking the teacher out of the classroom, bring the classroom to the teacher. This online professional development can be watched at each teacher’s convenience. The course is less than four hours long and shows teachers when and how to implement the same simple techniques that countless others have used to survive a school attack. The first 35 schools and districts that sign up now, receive a discount on the registration fee as well as 2 free seats per school to any of our live trainings. 3. Train-the trainer live course. This 2 day training equips participants to teach ACT FAST to their individual schools by providing classroom instruction, a PowerPoint, instructional video to review, as well as continued support. Learn more on the informational page or register for a class near you. If you cannot find a course near you, consider hosting a course. It’s easy and you get at least 2 free seats to the training. Categories: General Posts | Tags: Crisis drills, Don Shomette, lockdown, People are the Prize, Peoplearetheprize.com, school safety, teacher crisis drills, teacher lockdown | Permalink. The more familiar we become with something (or someone), unfortunately the less we seem to appreciate it (or them). When it comes to preventing and surviving a school attack, we must once again see how amazing the people are in our schools and treat them as the thing they really are—the prize! Categories: General Posts, Today's Word | Tags: Don Shomette, People are the Prize, Peoplearetheprize.com, Preventing the school attack, School Resource Officer, SRO | Permalink. Lots of folks who don’t work inside our schools are saying that we need to change our procedures, that our lockdown is not good enough. While I understand their perspective, it’s just not true and too many school attacks have proven that a lockdown works to save lives. In truth, our lockdown is a great procedure…we don’t need to replace it, but we can always enhance it by doing one thing…speed it up! Categories: Today's Word | Tags: Don Shomette, lockdown, People are the Prize, Peoplearetheprize.com, School Resource Officer, SRO, teacher crisis drills, teacher lockdown, The Shomette Group | Permalink. I’m afraid that we’re inadvertently hurting our efforts when we tell our school community that only physically fighting the attacker is the only form of fighting. Certainly, it’s one way but not the only way. When a teacher goes into a lockdown, hides, barricades, or runs from the attacker—isn’t he or she also fighting for their life and the lives of their students? Help us spread the word that everybody fights in a crisis. Please watch and then share this video. Let’s get the word out there—the truth—that in every school attack…everybody fights! Categories: General Posts, Today's Word | Tags: Crisis drills, Don Shomette, lockdown, People are the Prize, Peoplearetheprize.com, Professional Development, run-hide-fight, School Resource Officer, SRO, teacher crisis drills, teacher lockdown, The Shomette Group | Permalink. Sensitive Topic: Is crisis drills and lockdowns really a sensitive topic or is it something else? Too many teachers are not receiving the information they need to prevent and survive a crisis because it’s a ‘sensitive topic’. I hear this a lot and I totally get it. The thing is though, saving lives is not a sensitive topic. We have to be careful and always clarify that it’s not the topic that is sensitive, just how we present it and we could always do a better job. Categories: Today's Word | Tags: Don Shomette, People are the Prize, Peoplearetheprize.com, preventing school violence, School Leadership, The Shomette Group | Permalink.